Sellers are not the only ones obsessed with making their numbers. Buyers have targets too – typically ambitious targets for cost reduction. However, increasingly only hard savings have the power to close the sale. We all know that buyers are increasingly numbers obsessed. The question is what format must those numbers be in if they are to be taken seriously? – The varying perspectives of particular stakeholders and in particular the finance department. Will Your ROI Pass The Credibility Test? 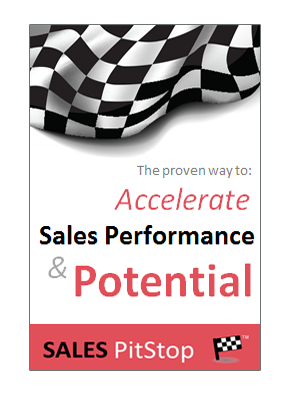 Your sales targets can only be achieved by helping buyers to meet their own targets. More often the buyer’s targets entail an element of cost reduction. Rather than hiding from this reality, sellers should face it head on. In so doing they can turn it from a challenge to an opportunity. Can the buyer take credit for all the savings that you are including in your ROI calculation? If your buyer needs to show credible savings then the advice is to ‘get with the programme’ and help him, or her get what they need. Your payback calculator and ROI model needs to help buyers to calculate, communicate and stand over any cost savings claimed. Seller’s often get frustrated at the degree of buyer scepticism regarding the benefits they promise. What they don’t realize is that the savings claimed by the manager-buyer are likely to be treated the same way by their own colleagues. The buyer’s claimed savings are generally not going to be accepted on face value. Even the cost savings boasted of by procurement professionals are regularly discounted by finance. The problem is that not all savings are equal. The sellers job is to help the buyer to cut costs and to cut them convincingly! How the saving is calculated? Can the savings be tracked? Will the savings appears on a KPI dashboard, or other performance report for senior management? Who takes credit for savings? Are savings linked to any bonus/incentive structure? Who’s budget will benefit from the savings or will corresponding expenditure come out of? When will the savings occur? What financial period will the savings impact? The key point is that the seller must ask the buyer what benefits and savings are relevant to his/her business and encourage the buyer to display creativity within the rules in terms of how numbers are presented. Many of the factors listed above hinge around the issue of whether the savings claimed are soft, or hard. People use the terms differently from organization to organization, but it amounts to the same thing: hard savings are hard to contest, while soft savings are hard to defend. Distinguishing between hard and soft savings in your benefits statement/ROI will help you to equip the buyer with a more compelling justification for the purchase, while at the same time protecting your margin. – Sales and marketing costs. Many managers talk about hard savings as being savings that have been quantified. However, they often go ones step further than just quantification. A hard saving is a reduction in anything that is tracked in the financial statements of the company. It is important that your client sponsor knows the difference between hard and soft savings in order to get stakeholder consensus and avoid controversy around numbers. That is particularly the case if finance is to be involved in the decision. There are many measures of business, project or team efficiency that cannot be classified as ‘hard savings’. That however does not mean that they are not important. Finance departments tend to take a cynical view of soft savings claims, treating them (in the words of one CFO) as ‘coulda shoulda woulda savings’. It can be hard to convince an accountant, or budget holder of soft savings because are often more ‘up in the air’ and require a little more imagination. Their connection to any line in the financial statements of the company is often tentative at best. Soft savings are often future, or scenario-based and that makes them something that accountants can’t track between income statements. The lack of a historical cost means that from an accounting point of view a reduction from one period to another cannot be shown. When savings are soft they are technically more ‘cost avoidance’ than ‘cost saving’. Quantifying cost avoidance is challenging and from the perspective of traditional financial statements is relatively meaningless. However don’t discount soft savings completely. Issues of risk, strategic fit, or compliance can make soft saving compelling. Total Cost Of Ownership, for example, often involves a mix of both hard and soft savings. 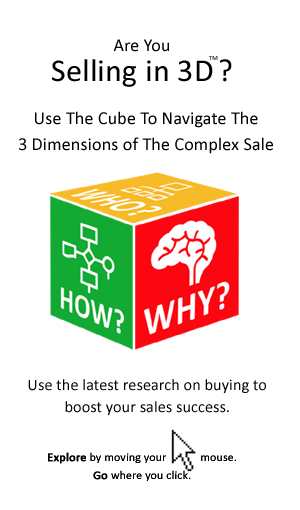 Sellers need to know how the results achieved by buyers are both measured and communicated. They need to know just what buyers can and cannot take credit for. Savvy sellers recognise the controversy that can arise in respect of some buyer claims and the widespread discounting by some stakeholders, most notably finance, of buyer generated numbers and the overall challenges faced by buyers in demonstrating value and justifying programmes/projects/purchases. 1. Ask the buyer what benefits matter most and to whom. Calculate the benefits delivered based on the buyer’s performance metrics, based on what will be discussed at the buyer/project’s review meeting and more important what will be used to determine incentive compensation. Remember one in 5 dollars earned by procurement professionals in the US is earned by way of bonus. 2. Ensure there is a high degree of transparency of savings and agreement as to the methods of calculation. Distinguish more clearly between hard and soft savings. They need to use headings such as ‘soft’ and ‘hard’, or ‘cost savings’ and ‘cost avoidance’ in their business cases and proposals. 3. The first step to making your savings claims more compelling is to put numbers on them (numbers that relate to an item in the financial reports). Then tie those numbers to a specific period, for example, if your project requires expenditure today, but does not show the payback until next year that is likely to present problems. 4. If you cannot make the numbers hard then you need to make them compelling with reference to the other business case variables – risk, compliance, strategic fit, etc. If the numbers are not compelling of themselves, attach them to something that is. 5. Check to see if your proposition can stand on the hard savings alone. What is the proportion of hard and soft savings involved in the business case for your solution. Ask yourself: If the soft savings were discounted, would the decision still be a viable one? 6. Above all don’t just present the buyer with a set of numbers, involve the buyer in their creation. – A balanced incentive structure that rewards managers for performance ‘in the round’. The IT systems in use to track and manage spend play an important role in whether cost savings can be made harder. But perhaps most important of all is consultation with finance – the likelihood of any set of numbers being rejected is greatest if they are presented without any engagement, or interaction. If the decision is going to be made in a cross-functional manner, then the justification needs to be cross-functional too. This must be recognized by finance. Many procurement manages would argue that Finance is too quick to undermine its reported savings by adopting an overly rigid financial reporting perspective. There are key metrics that are essential to tracking the performance of projects or business units, beyond that you won’t find in the financial reports of a company. Just because it is not in the income statement, or balance sheet, does not mean it should not be on the managers KPI dashboard. We’d love to hear your experiences with hard and soft savings claims. Please find the comment box below.